On the beaches prohibit wearing thong Krivoy Rog! At the bottom of the lake found the settlement Krivoy Rog! 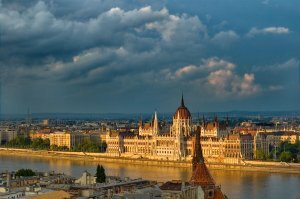 The other day the decision was made, according to which the European Congress on health tourism (ECHT2) in 2009 will be held in Budapest. This event will be held over two days from 1 to 3 April. According to the organizers, the main theme should be acquainted with the key segments of medical tourism, as well as its main problems. According to preliminary data, during the presentation of all the services and features of medical tourism will follow more than 400 listeners. While the presentations will be performing employees health centers, dentists, doctors, government representatives from different countries and investors. In addition, guests will listen to reports on the health insurance and the services that contribute to the preservation or maintenance of health. It is also necessary to note that the medical and health tourism, in times of financial crisis and the threat of recession tourist traffic around the world, is the only industry that has a "positive" outlook. One of the reasons – the constant need for standing results and high quality treatment. That is why today the European congress on medical tourism offers a platform for new ideas, partnerships and contacts between experts, producers and consumers. In this case, the organizers say that absolutely all participants will be given many opportunities to expand partnerships. In addition, they will be organized a series of training workshops in which participants will be able to understand in what way EU initiative affect the tourist industry. Of particular note, according to organizers, deserves Learnshop – unusual format of the event, which will take place before the conference. Since today accepted the application for participation in it. Also it should be noted that since the medical and health tourism has taken a leading position among other recreational activities, were seen innovations in various areas, including in the planning of tour packages. At the event, guests will be able to share their experiences and talk face to face. Specifically for this purpose will be organized B2b track with one-one-meetings. In addition, to participate in a two-day briefing at the Pavilion Arena will those investors who are investing in improving services. That there will be a discussion of creative ideas. In general, the European Congress on health tourism is intended to promote the growth and development of the popularity of this type of tourism. This entry was posted on Monday, January 13th, 2014 at 9:03 pm	and is filed under Other. You can follow any responses to this entry through the RSS 2.0 feed. You can leave a response, or trackback from your own site.